SINGAPORE - One of the oldest businesses in this part of the world is set to go private. Traditional Chinese medicine firm Eu Yan Sang International has been dispensing remedies for more than 130 years and has been a listed company here on and off since 1973. Generations of Singaporeans have turned to products like its bird's nest and other herbal remedies or have visited TCM clinics across the island. Eu Yan Sang has taken its remedies and treatments to markets including Hong Kong, mainland China and Australia. It is one of the largest TCM groups outside mainland China. Early on Monday (May 16) the company announced its bid to privatise. A consortium led by Tower Capital TCM Holdings, and including a unit of Temasek Holdings an Eu Yan Sang chief executive Richard Eu, is offering shareholders 60 cents a share for those share the consortium does not own. This values Eu Yan Sang at about S$269 million. "The consortium's acquisition of the company will allow the new investors to partner with the participating Eu family shareholders in their efforts to invigorate the company's businesses,"said Tower Capital founder Danny Koh. With Eu Yan Sang likely to take a step away from the spotlight, here is a look at the multi-faceted history of this cherished Singapore company. 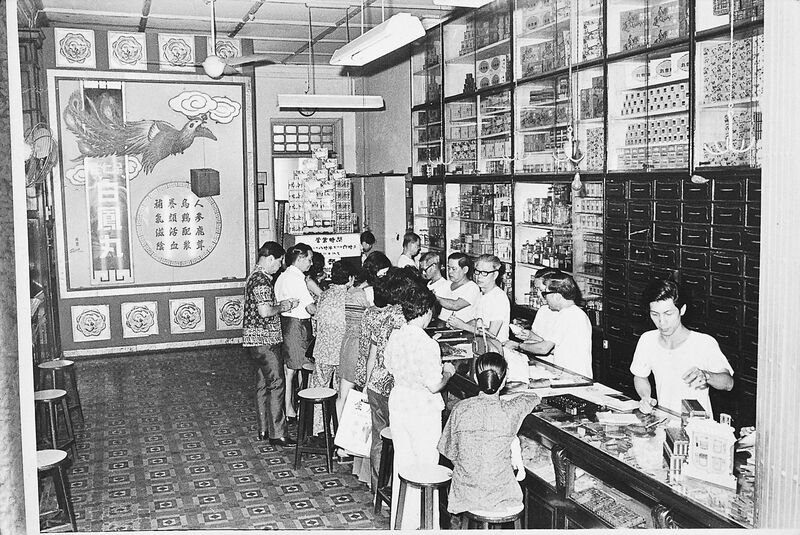 Eu Yan Sang's first TCM shop, Yan Sang, was opened by founder Eu Kong in Gopeng, Perak in Malaysia in 1879 with the inital aim of relieving tin coolies from their dependence on opium for their medical needs. Eu Kong was from Foshan in Guangdong in Southern China and, like many young Chinese men at that time, travelled to Malaya to seek his fortune. The name of the shop, "Yan Sang", literally means "caring for mankind" in Chinese. In addition to TCM shops, the early Eu Yan Sang also had businesses in tin mines, remittances and rubber plantations. In the 1890s, Eu Tong Sen, Eu Kong's son, took over the family business and expanded it by entering into diverse industries such as tin mining, rubber estates and finance. He amassed more than 1,000 properties in Hong Kong, Malaysia and Singapore. In 1941, Eu Tong Sen - after whom a street in Singapore's Chinatown is named - passed away and the company was placed in the hands of administrators. Mr Richard Eu, Eu Tong Sen's grandson, described the problems running the business at that time. "He (Eu Tong Sen) divided the businesses pretty equally among the 13 sons... This meant no one had a majority vote. This resulted in deadlock in making decisions and the best course was to sell everything. By the mid-'80s, most of the business was sold." The company was listed on the Singapore Stock Exchange in 1973. In 1990, the firm was acquired by Lum Chang , a property firm. Chief executive Richard Eu joined the firm in 1989 against his father's wishes to reassess the company. Under his leadership, the group adopted a scientific approach to quality control, developed an extensive distribution network for its products, and re-branded and marketed its products. In 1993, he succeeded in a buy-out from Lum Chang. The Eu family currently owns more than 60 per cent of the company. "The problem with professional managers is there is always pressure to perform in the short term," said Mr Eu. "With family management, you can take a longer-term view as it's not so easy to be kicked out." In the 21st century Eu Yan Sang has moved to embrace innovation and a more global outlook. In 2002, the company collaborated with the University of Hong Kong on a three-year project to develop the Bak Foong Pill, used to address some women's health issues. During the Sars outbreak, it also developed an anti-viral formula, the Kang Du Bu Fei Pill, with the same university. Currently, the group offers more than 300 products under the Eu Yan Sang brand. It has 44 TCM retail outlets in Singapore, and more than 200 similar outlets in Australia, mainland China, Hong Kong, Macau and Malaysia. Eu Yan Sang also operates 31 TCM clinics in Singapore and Malaysia, and two clinics in Hong Kong that combine Western and traditional Chinese treatments.